Highway 36 to Estes Park, Glacier Gorge turnoff to Sprague Lake parking lot. I was photographing the full moon setting and sun rising at Sprague Lake, when a bull elk entered the lake and walked into a position that allowed me to get Hallett Peak as a background. 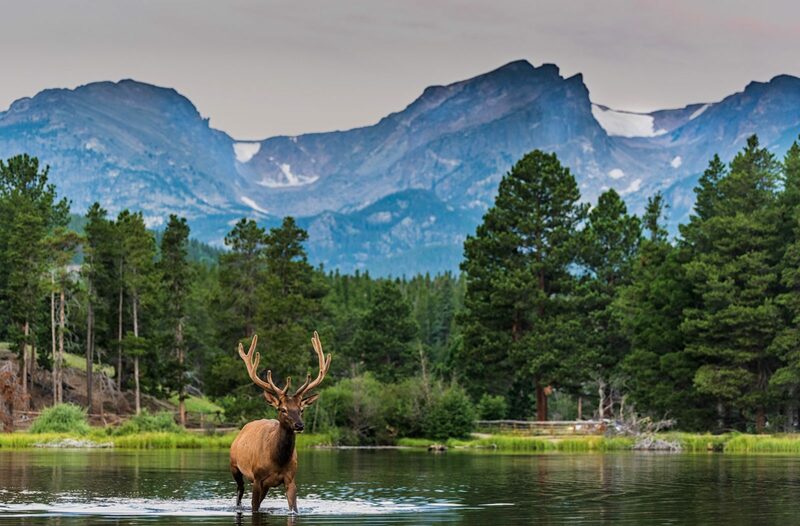 A photo of a bull elk walking through Sprague Lake in Rocky Mountain National Park.